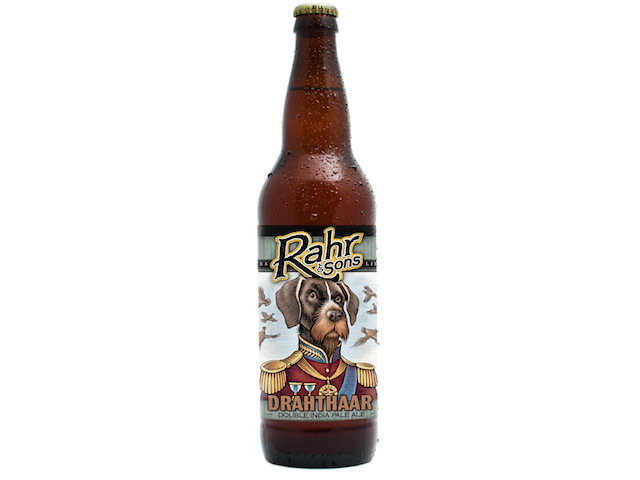 (Fort Worth, Texas) — Rahr & Sons Brewing Co. will release two new beers, named Drahthaar and USS Fort Worth, next month. Drahthaar, which is a breed of German hunting dogs, is named in honor of the Rahr family’s drahthaar, Schnapps. The beer is a double IPA with a bold malty flavor and a crisp aroma that includes notes of citrus, pine and grapefruit. It will be available the first week of August in 22-ounce bottles and on draft. To celebrate the release of Drahthaar, Rahr & Sons will host a special tasting and tour at the brewery on Wednesday, August 5 from 5:00 to 7:30 p.m. All attendees will receive a commemorative pint glass, and Drahthaar will be the featured brew. Tickets are $10 and can be purchased at the door. 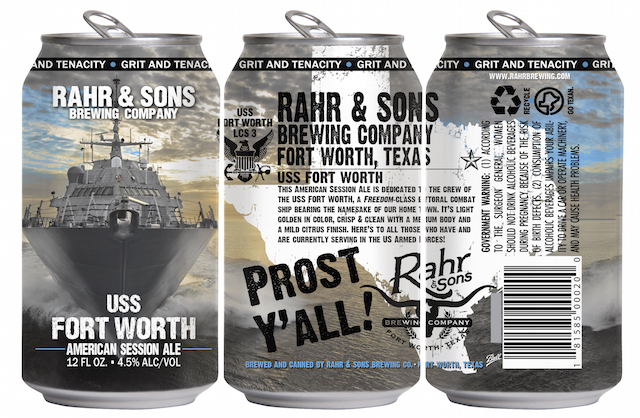 Rahr & Sons will release USS Fort Worth—an American session ale dedicated to the crew of the naval ship USS Fort Worth, a Freedom class littoral combat ship—the last week of August prior to Labor Day. The beer is light golden in color, crisp and clean with a medium body and a mild citrus finish. It will be available as a 12-ounce canned beverage and on draft; a portion of all sales will be donated to the USS Fort Worth Support Committee, which provides moral support and appreciation for the ship’s crew and families. The brewery will host a tasting from 1:00 to 3:00 p.m. on Saturday, September 5 to commemorate the release of USS Fort Worth. All attendees will receive an exclusive pint glass, and USS Fort Worth will be the featured beer on tap. Additionally, members of the U.S. Navy will be on hand to celebrate the occasion. Tickets are $10 and can be purchased at the door. The craft brewery has won more than 50 nationally-recognized awards, including: a Gold Medal and four Silver Medals at the 2015 Los Angeles International Beer Competition; a Bronze Medal at the 2014 Great American Beer Festival for The Regulator; a Bronze Medal at the 2014 World Beer Cup for Stormcloud IPA; several Gold, Silver and Bronze Medals at the 2014 Denver International Beer Competition; a Silver Medal at the 2012 Great American Beer Festival for Iron Thistle; and a National Grand Champion Award at the 2009 United States Beer Tasting Championship for Iron Thistle. Additionally, Rahr & Sons has been named Best Brewery/Distillery by Fort Worth, Texas Magazine two years in a row.